As is so often the case, my hobby plans have shifted slightly. Originally I was planning on allying my Harlequins with a Craftworld Eldar force. 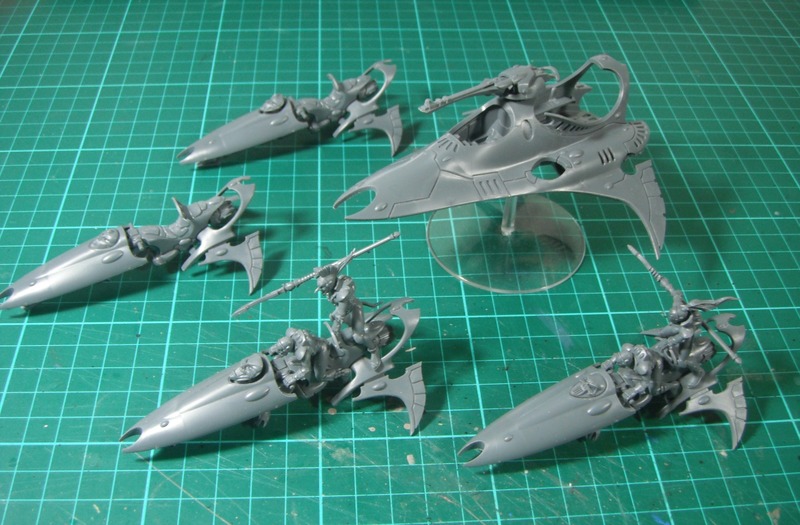 However, the brand-new Harlequins really showed up how dated the Eldar range is. Instead ideas started growing in my mind of collecting a Dark Eldar army instead. As luck would have it, the opportunity to purchase a sizeable Dark Eldar army at a significantly discounted price came up via a friend of a friend. 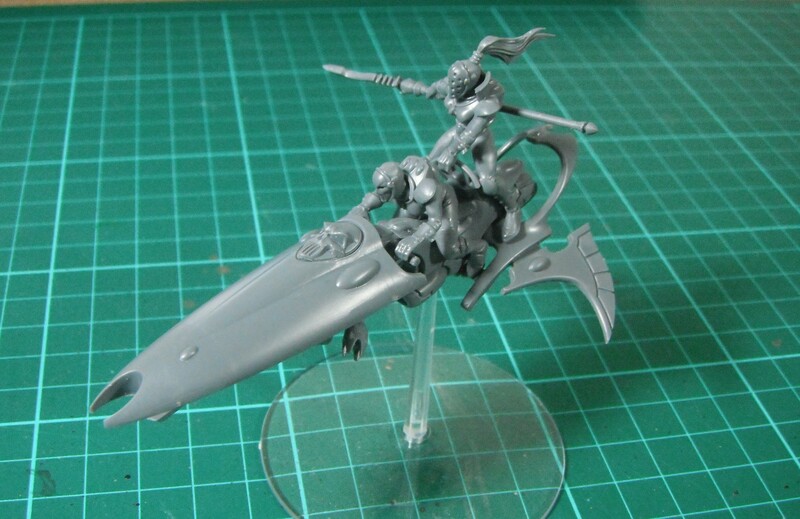 At the moment I am uncertain what colours to use to paint my Harlequin jetbikes; I want them to look like the deep purple jetbikes seen on the cover of White Dwarf but I’m unsure what paints to use to achieve this. 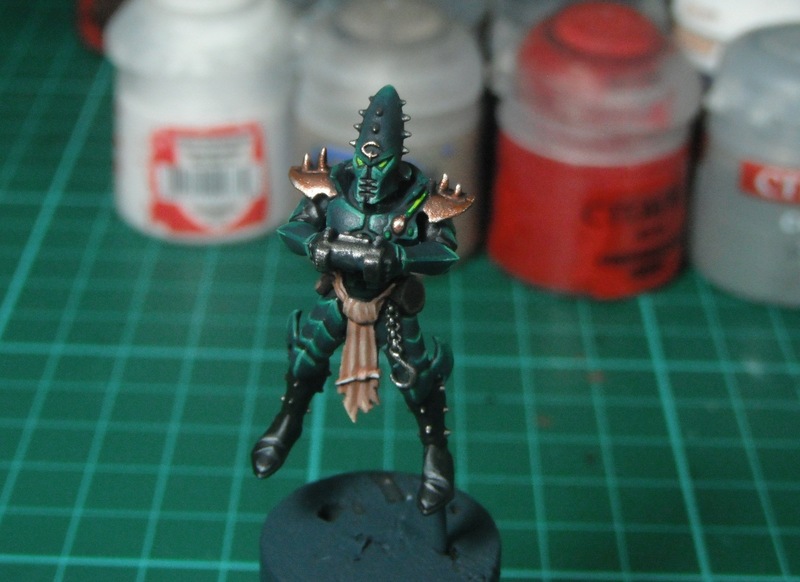 As a result, I decided to put the Harlequins on hold and get started with the Dark Eldar instead, using the venom I assembled earlier as a test model. The model is painted in the colours of the Kabal of the Black Heart. It was primed black before being given a basecoat using Incubi Darkness spray paint. 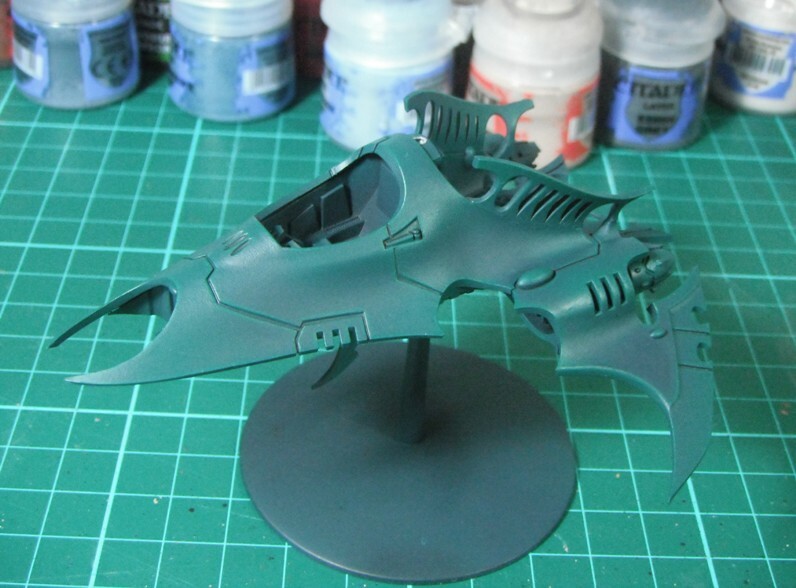 Highlights of Kabalite Green were airbrushed on. 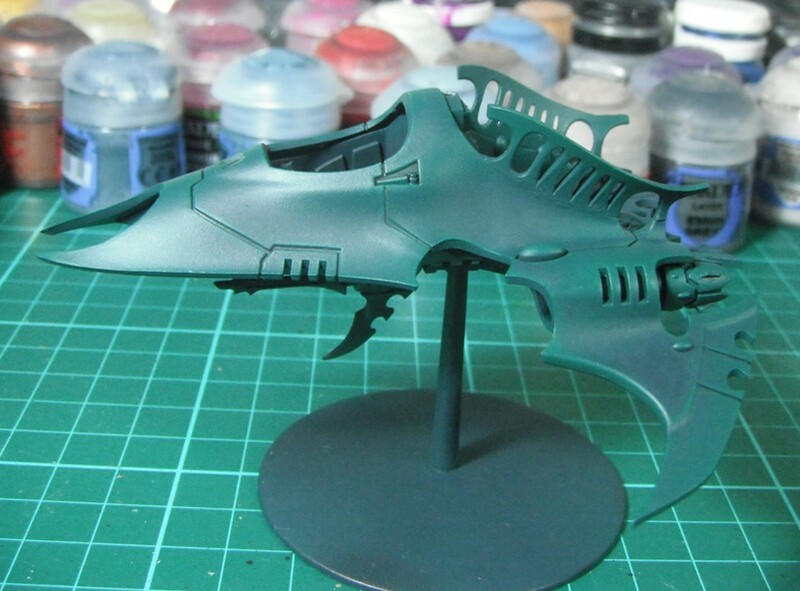 The panel lines were shaded with Nuln Oil and a subtle edge highlight of Kabailte Green was applied (although they are hard to see in the photo). The next step will be to add further highlights using Sybarite Green before painting the details.